Libya continues to be a major transit point for African migrants hoping to reach Europe for greener pastures. 15 migrants are reported to have died in a boat off the Libyan coast, Reuters reports quoting an Egyptian survivor. hoping to reach Europe for greener pastures. Since Moammar Gaddafi’s overthrow as leader of Libya, the country has become a hub for slave trade. Some migrants are often abused and enslaved by people who pretend to assist them cross the Mediterranean. 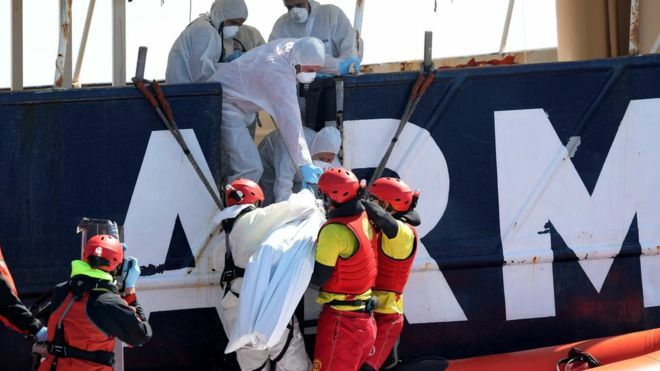 The United Nations migration agency said more than 1,000 migrants have been reported dead or missing in the Mediterranean this year, while an unknown number perish in the desert.